Select Property Group has secured planning permission for two residential tower blocks of over 500 flats for private rent in Manchester’s city centre. 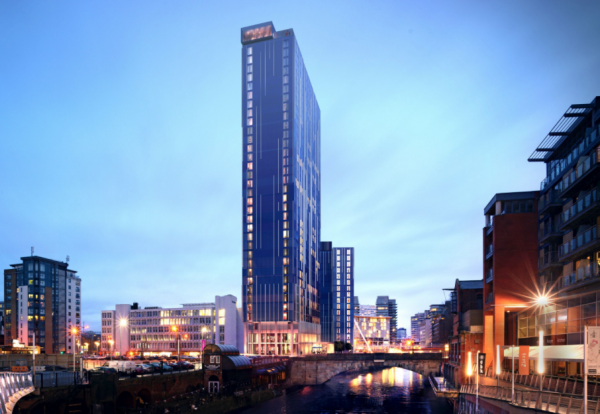 The two buildings, Riverside and Riverview, will operate under Select’s Affinity Living brand and will be built in a next to the Lowry Hotel on the banks of the River Irwell. Carillion is preferred contractor for the job and will start on site in October. 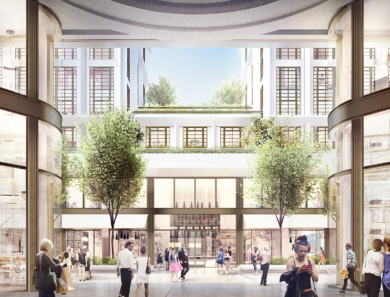 The decision marks the third planning approval given for Select’s Affinity Living residential brand, after approval was granted for 677 apartments at Circle Square last month, a joint venture project with Bruntwood, and for 684 apartments at Embankment West in May. Located on New Bailey Street next to the riverside footpath, the 35-storey building, Affinity Living Riverview, will house 318 apartments, while the 17 storey building, Affinity Living Riverside, will comprise of 188 apartments. Enabling works are expected to begin in October with Affinity Living, Riverside scheduled for completion end of Q1 of 2018 and Riverview in Q4 of 2019. Niall Alcock, Assistant Director at Deloitte Real Estate said: “The proposals will deliver significant new high quality residential accommodation from a proven developer and operator and play a key role in securing the long term success of the region. The architects working on the scheme are Denton Corker Marshall. 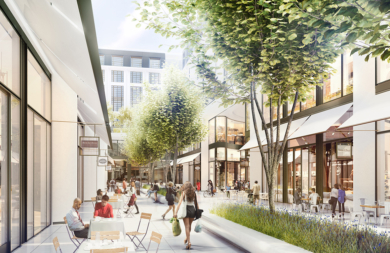 London’s Whiteleys shopping centre is set to get a new lease of life after ambitious plans to restore the Grade II-listed building were submitted to Westminster Council. 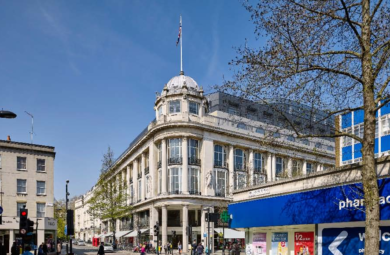 A joint venture between a Meyer Bergman-advised investment fund and Warrior Group is seeking to deliver a £1bn redevelopment of the once grand department store in Bayswater. The Foster + Partners designed mixed-use scheme, which will incorporate the iconic central dome, will see 500,000-plus sq ft built behind the existing 1911 facade. This will include construction of more than 100 homes, a mixture of apartments and townhouses. These will be arranged around an inner courtyard with new shops, a boutique hotel, gym and basement cinema. The scheme will open onto Queensway, which is planned to undergo a £50m revamp scheduled to begin in early 2016. An interactive visual resource which showcases London’s finest and most-recognised architects and their respective buildings. London is gifted with a diverse range of architectural styles thanks in part to the age of the England’s capital but mostly owing to the talented pool of architects whose skills and creativity has helped shape the city’s skyline. To celebrate the collective talents of these architects and the ever-changing built landscape of London, Gregory Phillips has created a visual resource of iconic buildings called Architects of London. Visitors can navigate the guide using the left-hand side scrollable panel which features a choice selection of architects. Click on the architect to preview their iconic London building along with a concise summary of style, information on the architect and location details. The aim is for the resource to be democratic; users can submit their favourite architects (and buildings) via the submission form on the Standings page. They can star their favourite buildings; doing so will count as a vote towards the construction. The total number of votes can be seen on the Standings page also. Mobile CAD Surveying Solutions Ltd the measured building survey specialists, have recently completed a major commission for a Full Building Plans, Elevations, Topographical Survey in Union Street, London. The final output will include a Revit model, but it was the view that stole their attention – Breathtaking skyline of London.